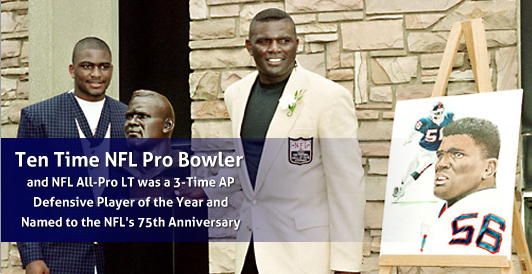 A player who revolutionized the game of football, Lawrence Taylor was born February 4, 1959 is a Hall of Fame linebacker who spent his entire career with the New York Giants. 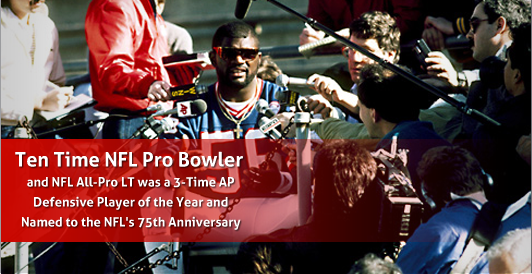 LT is one of the greatest players in the history of football, and has been ranked as the top defensive player in league history by former players, coaches, media members, and news outlets such as the NFL Network and Sporting News. 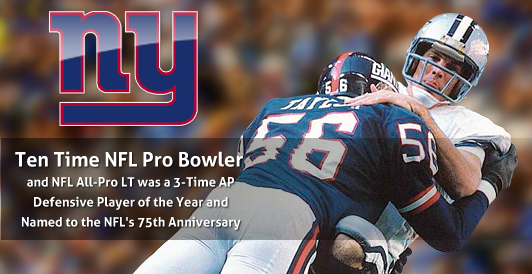 After an All-American career at the University of North Carolina (UNC) (1978–1981), Taylor was drafted by the Giants as the second overall selection in the 1981 NFL Draft. Although controversy surrounded the selection due to Taylor’s contract demands, the two sides quickly resolved the issue. Taylor won several defensive awards after his rookie season. 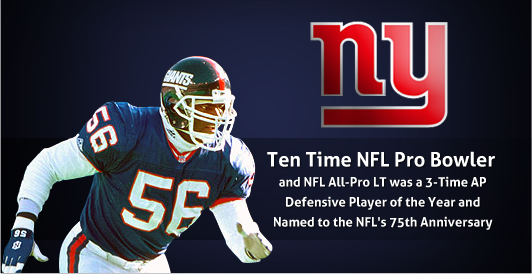 Throughout the 1980s and early 1990s, Taylor was a disruptive force at outside linebacker, and is credited with changing the pass rushing schemes, offensive line play, and offensive formations used in the NFL. 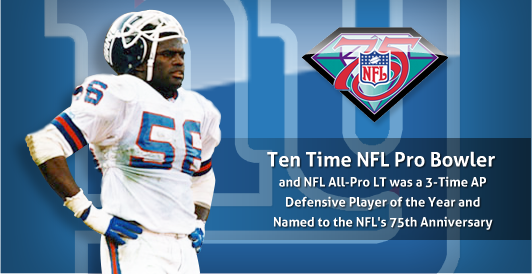 Taylor produced double-digit sacks each season from 1984 through 1990, including a career high of 20.5 in 1986. He also won a record three Defensive Player of the Year awards and was named the league’s Most Valuable Player (MVP) for his performance during the 1986 season. 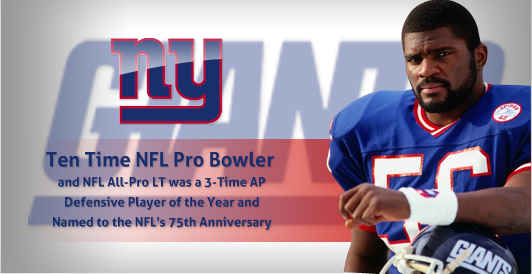 He was named First-team All-Pro in each of his first nine seasons and was a key member of the Giants’ defense, nicknamed “The Big Blue Wrecking Crew”, that led New York to victories in Super Bowls XXI and XXV. 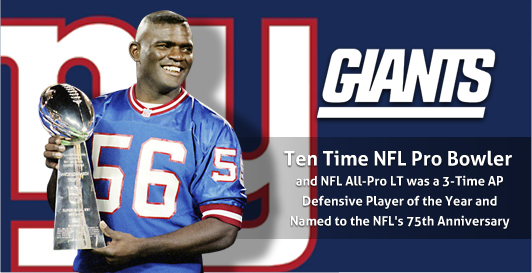 During the 1980s Taylor, fellow linebackers Carl Banks, Gary Reasons, and Hall of Famer Harry Carson gave the Giants linebacking corps a reputation as one of the best in the NFL. He finished his career with 142 career sacks.